The first major information on the Nokia 6 (2018) surfaced in the news a few days ago, reports have it that the long-rumored Nokia 9 with model Number TA- 1054 is actually the 2018 iteration of the Nokia 6 device. 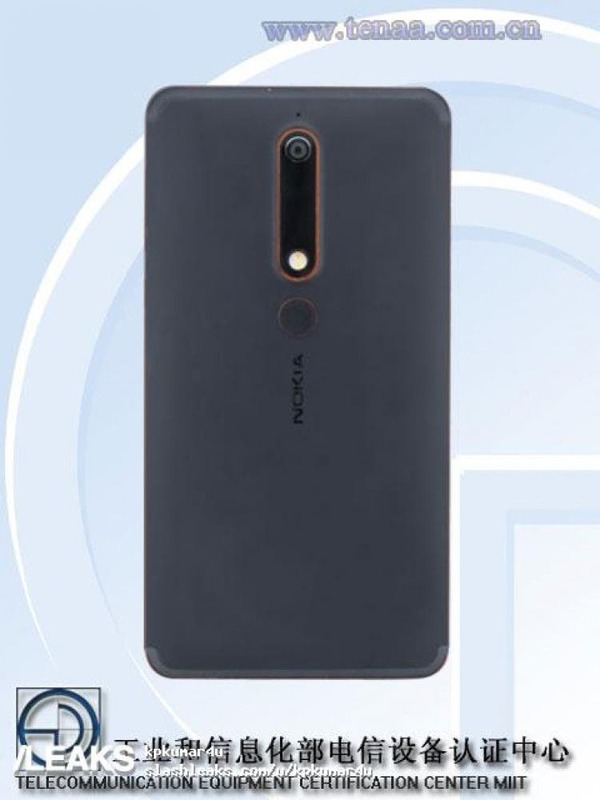 Now, the same device with Model number TA-1054 which is now believed to be the Nokia 6 (2018) has just received the green light from the Chinese TENAA, a compulsory steps that must be taken for all devices destined for the Chinese Market. 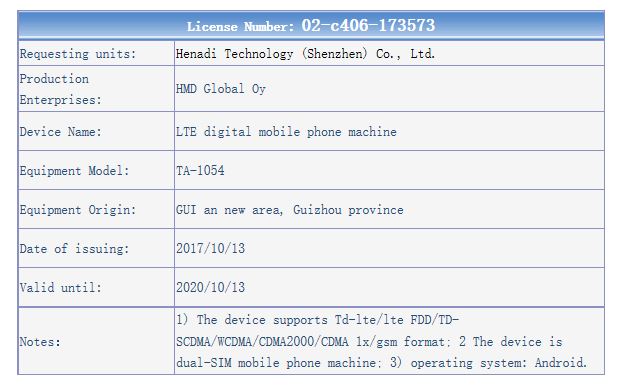 The TENAA listing for Model number TA-1054 only indicates that the device will device run on the Android OS and will be dual SIM enabled. 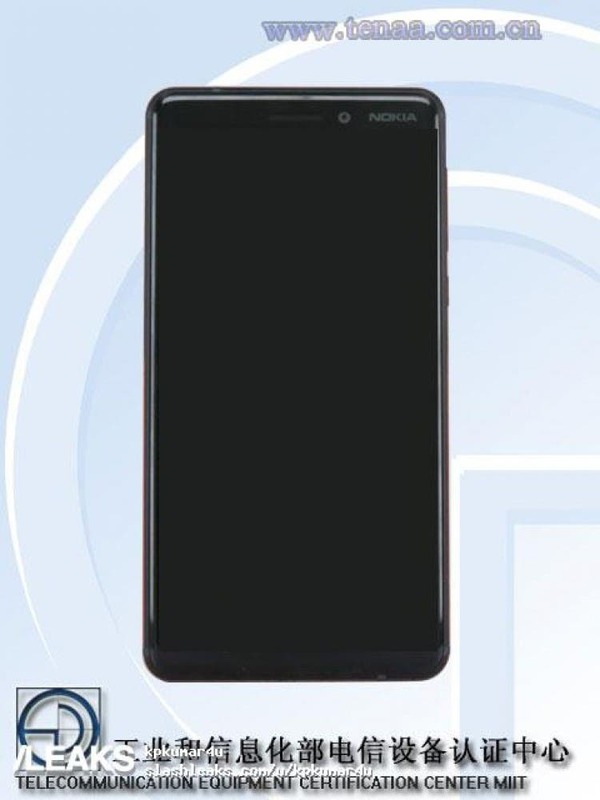 Images, as well as brief specs and features of the device, are currently not available on the certification page, we would update you later when such information becomes available on TENAA. Previous rumors suggest that the Nokia 6 (2018) could come in three RAM and storage variants: one with 4 GB of RAM and 32 GB of internal storage, another with 3GB RAM and 32GB storage and 4GB RAM and 64GB storage. It is expected to have a display with 18:9 aspect ratio, while it is rumored to have a Snapdragon 660 chipset under the hood. There is no word when the device will go official, but there are speculations that the device alongside the Nokia 9 flagship could see the light of the day as early as January 2018. Previous The Elephone S9 Pro gets more Interesting - It'll also Feature Wireless Charging!